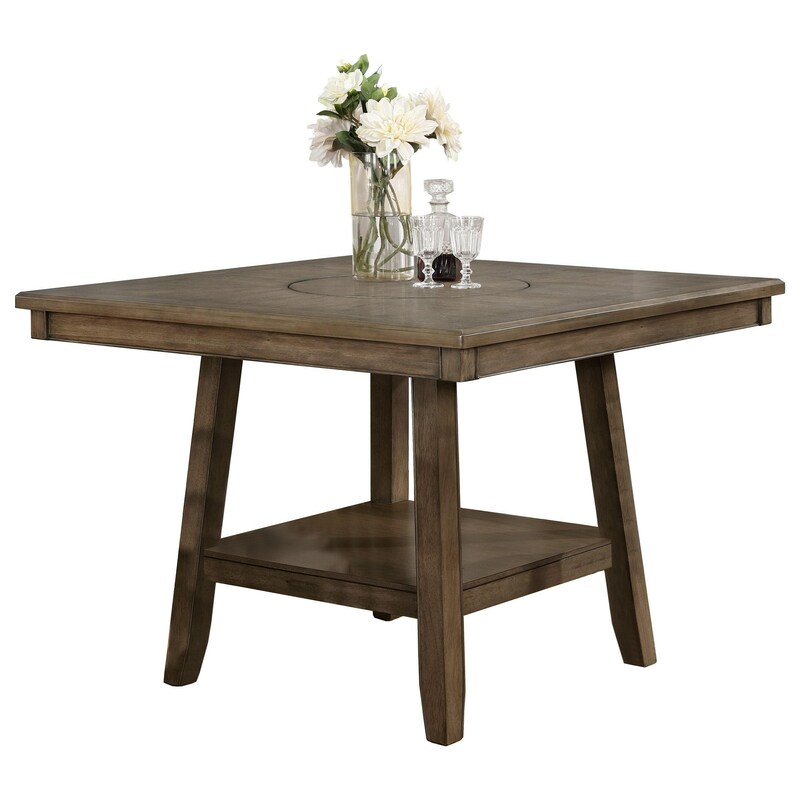 With easy-going casual style, this counter height table with a lazy susan makes a great addition to a breakfast nook or informal dining area. The square table has slightly angled block legs supporting an under-table shelf. The table top has a lovely geometric inlay decorating the center. The Manning Casual Counter Height Table with Lazy Susan by Crown Mark at Miskelly Furniture in the Jackson, Pearl, Madison, Ridgeland, Flowood Mississippi area. Product availability may vary. Contact us for the most current availability on this product. This classically styled dining room collection is an easy addition to any home. The counter height collection features a dining bench, Parson's chairs, and lovely square table, perfect for a breakfast nook. The Manning collection is a great option if you are looking for Transitional Casual furniture in the Jackson, Pearl, Madison, Ridgeland, Flowood Mississippi area. Browse other items in the Manning collection from Miskelly Furniture in the Jackson, Pearl, Madison, Ridgeland, Flowood Mississippi area.